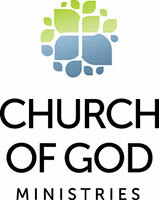 The Church of God, with U.S. offices in Anderson, Indiana, began in 1881 as a movement emphasizing unity and holiness. Early leaders such as Daniel S. Warner and Mary Cole sought to forsake denominational hierarchies and formal creeds, trusting solely in the Holy Spirit as their overseer, and in the Bible as their statement of belief. These individuals saw themselves at the forefront of a movement to restore unity and holiness to God’s church. Their aim was not to establish another denomination but to promote primary allegiance to Jesus Christ and transcend denominational loyalties. Since 1891, when the movement’s first missionary was sent to Mexico, the Church of God has continued to grow into a multinational community of faith. Average weekend attendance in the congregations of the United States and Canada totals approximately 250,000. There are approximately 2,300 congregations in the United States and Canada. Globally, the movement has work in eighty-nine countries and territories representing more than 7,300 churches and 875,000 believers. In 1996 and 1997, the General Assembly initiated a restructuring of the work of the national ministries of the Church of God in North America. The result was the formation of Church of God Ministries, Inc. Priorities for the work of this organization are identified by representatives selected from the grassroots church. As the Church of God begins each new chapter in its history, Jesus remains the subject, and the dynamic story of the Church of God continues to unfold. As Church of God people, we are experiential. We talk and sing about how we have experienced God in our lives, how we have been saved from sin, about being healed of emotional and physical illnesses, and the richness of our fellowship in Christ. As Church of God people, we study our Bibles. We have no written creed that defines our beliefs but search the scriptures in worship and in classes to discover the truths of the Gospel. As Church of God people, we are concerned about outreach. We want to see our friends and family accept Christ as savior and worship God with us. We also want to invite persons who we may not know to meet with us and discover a real eternal hope for living today. As Church of God people, we find our hope and trust in the Lord. Our hopes do not hang on political parties and interest groups. We are committed to staying involved in activities that seek to ease suffering and provide opportunity for a full life, although we believe that human institutions alone are inadequate to meet the desperate social and spiritual needs of all people. So we commit to being a people of prayer. We understand that prayer is the chief source of communication between God and His children and that in prayer there is real and true power that effects our lives today. As Church of God people, we lift up the servant role as the Christian ideal. The image of Christians as conquerors who rule over others with vengeance and have material advantages is not the picture that Christ painted for his followers. We remember the words of Jesus, "The greatest among you will be your servant. All who exalt themselves will be humbled and all who humble themselves will be exalted" (Matthew 23:11-12). As Church of God people, we enjoy worship, serving the Lord, ministering to people's needs and being together. We take to heart the admonition of the Apostle Paul, "Rejoice in the Lord always; again I will say, 'rejoice'" (Philippians 4:4).